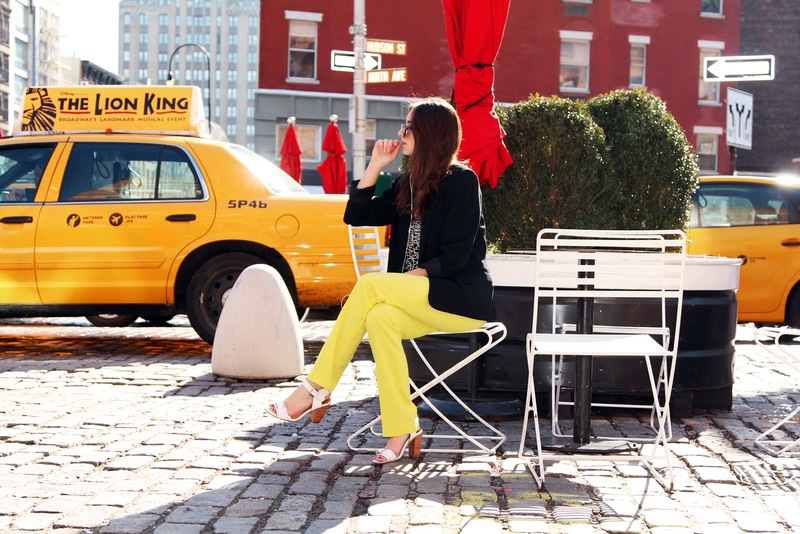 Taking a hint from yellow cabbies in NYC and incorporating the color into my wardrobe with these New York & Company pants. This morning in meatpacking, sunlight was warming up the streets and I was doing the usual, people watching and listening to music. I've had the JT 20/20 Experience on repeat ever since I was able to stream it and if you haven't listened to it, I suggest you do! Anyway, without realizing, my last couple of posts have concentrated on either blue, red, and now yellow. It's apparent that primary colors are taking over my looks for Spring and that's not a bad thing. I find one of my weaknesses is bringing color into my outfits because if you couldn't tell, I love a lot of black, whites, and grays when it comes to layering. So for now, I'll use my favorite monochromatic ways and rock full color or pull it in like I did with a statement red dress. 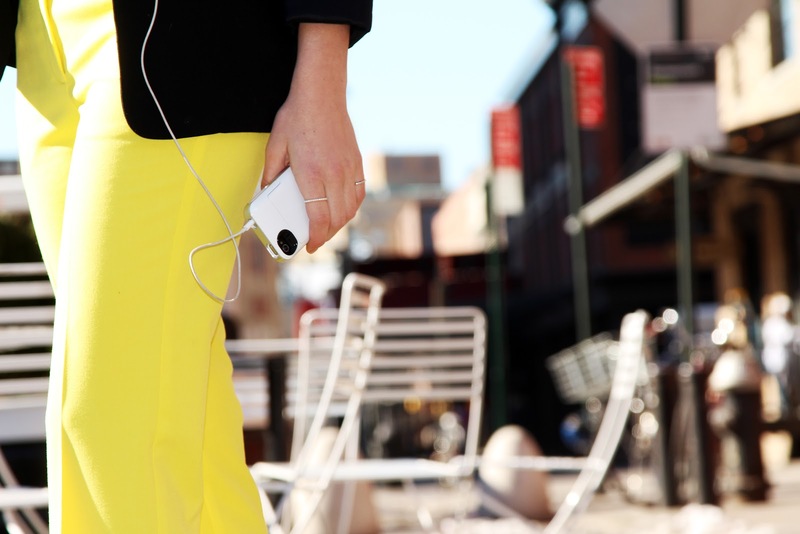 What's your rule to wearing color? how the heck did you get that second last picture? I'm dying. You look so stoic and in control, and then with that cab whipping by, that seriously is a work of art. So nice that you have your sis to play around with photography and create some real doozies. Convinced now that I need yellow pants. One of my favs so far. Fantastic post. I love your blog! Theres so many great quality pictures! those yellow pants are beautiful. this is making me think that i definitely need to add them to my spring shopping list. amazing photos! 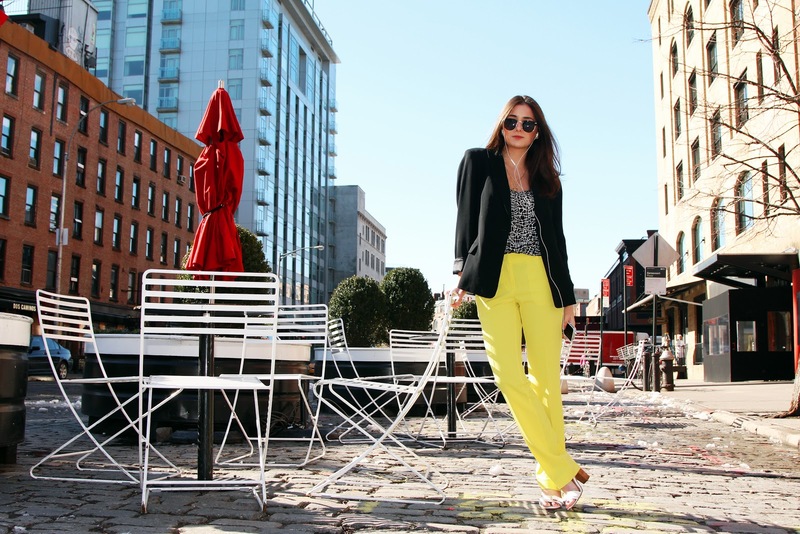 These photos are insane, and your yellow trousers are amazing!